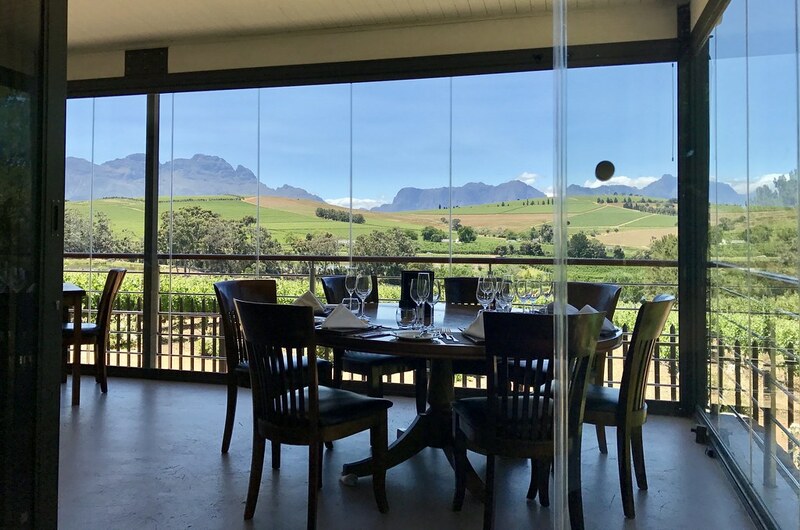 Since 2009, Clos Malverne Restaurant has been known for this view, as well as fresh, seasonal, contemporary cuisine prepared by Executive Chef Nadia Louw Smith and her team of expert chefs. 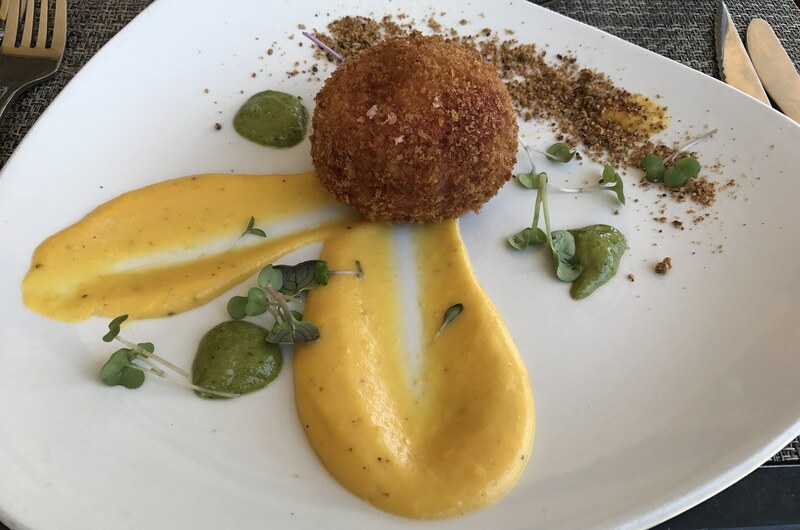 Chef Nadia Louw Smith describes her cuisine as world food with an earthy sophistication, cooked from the heart and presented with perfection. 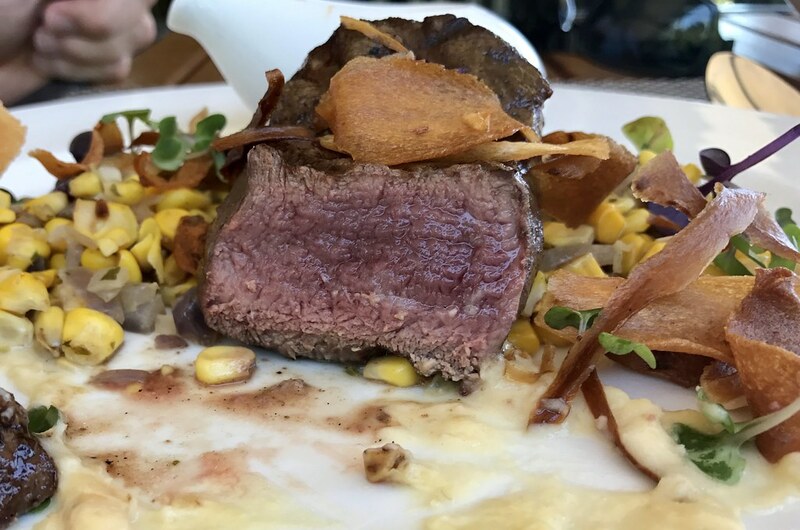 That is exactly what her and her team delivered with their Spring Food and Wine Pairing Menu in November 2016. 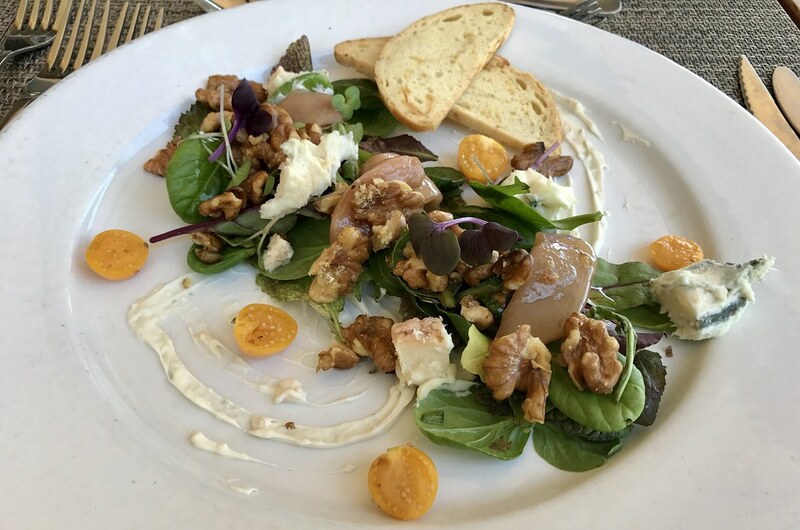 Kristi: Roast Pear and Gorgonzola served with walnuts, cape gooseberries, crispy melba toast, and mixed baby leaves. 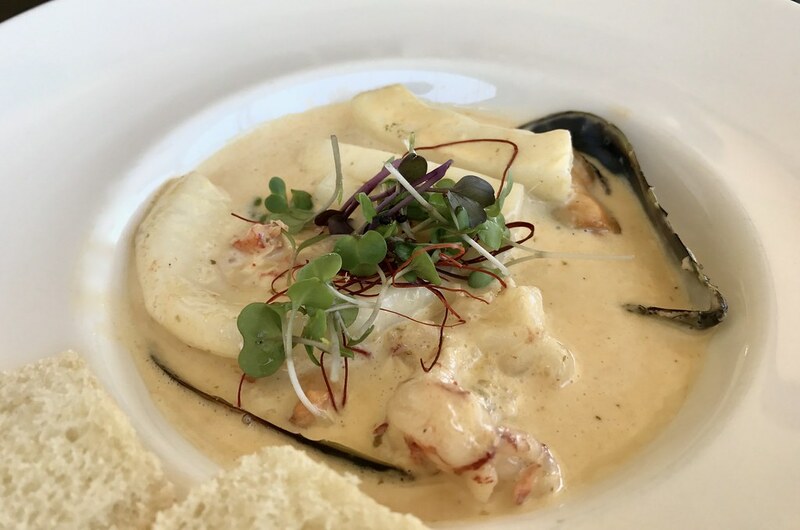 John: Spicy Creamy Seafood Pot with chili, coriander, ginger, prawns, calamari, and mussels. 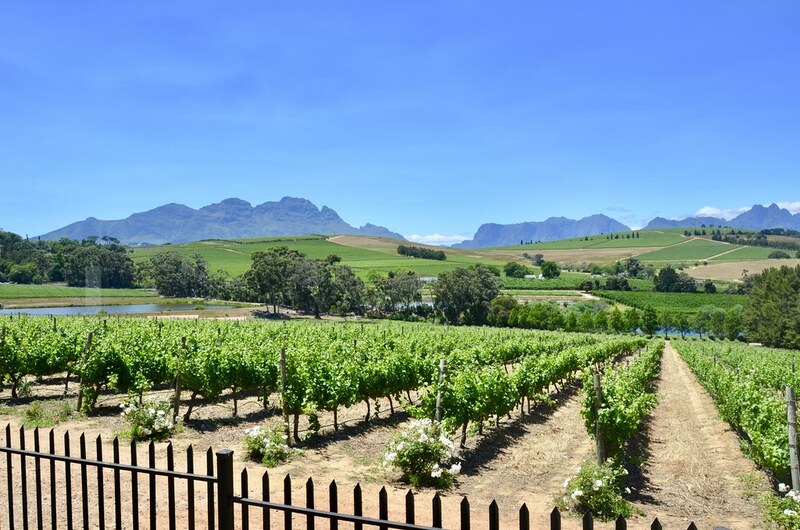 Wine: Clos Malverne Sauvignon Blanc. 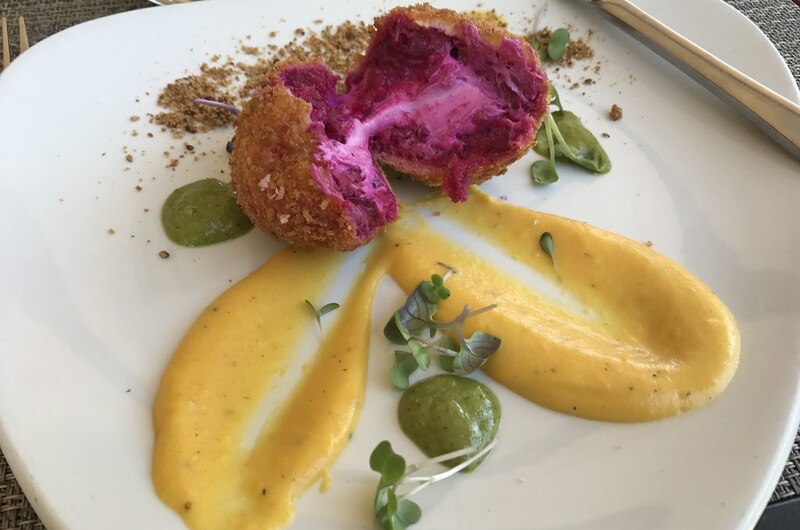 Kristi: Beetroot and Sunflower Arancini stuffed with goats cheese and served with butternut puree, rocket pesto and honey coated sunflower crumbs. Wine: Clos Malverne Cabernet Sauvignon/Merlot Blend. 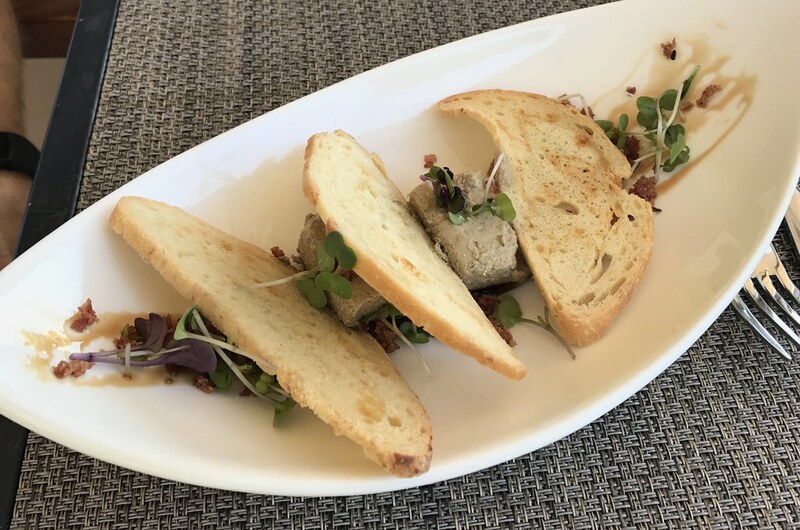 John: Duck Liver Mousse with makataan preserve, port reduction, crispy crushed Parma ham, and melba toast. 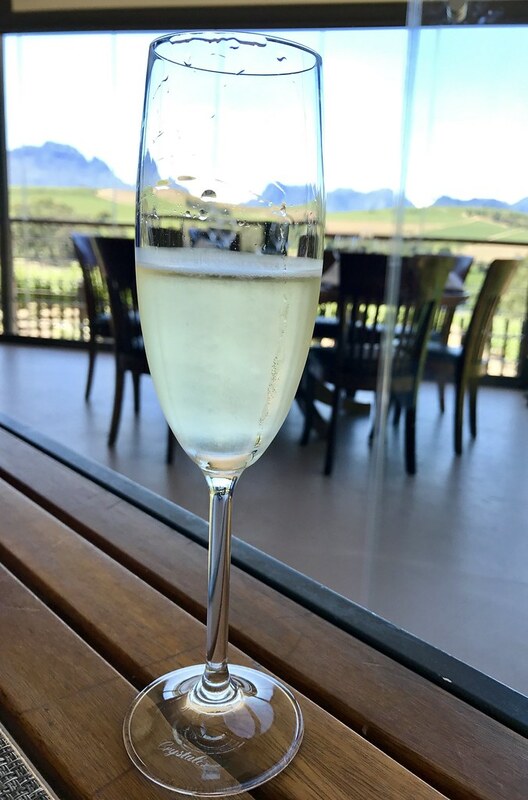 Wine: Clos Malverne Honey Dew. 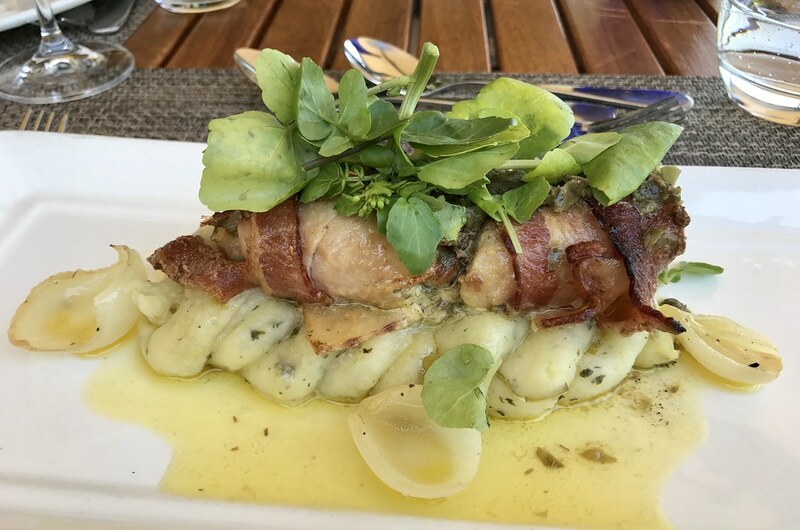 Kristi: Deboned Chicken Thigh stuffed with crispy bacon, feta and herbs, served with champ, baby onions, watercress, and lemon caper butter. Wine: Clos Malverne Cabernet/Shiraz Blend. 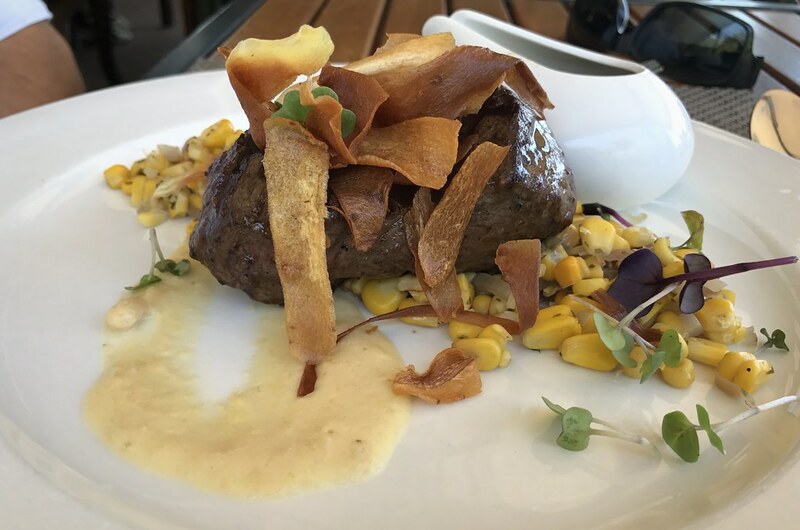 John: Grilled Springbok Loin with a corn salsa, butter bean puree, crispy parsnip, and a red wine jus. Oh, Springbok. How I adore you. Wine: Clos Malverne Pinotage Reserve. 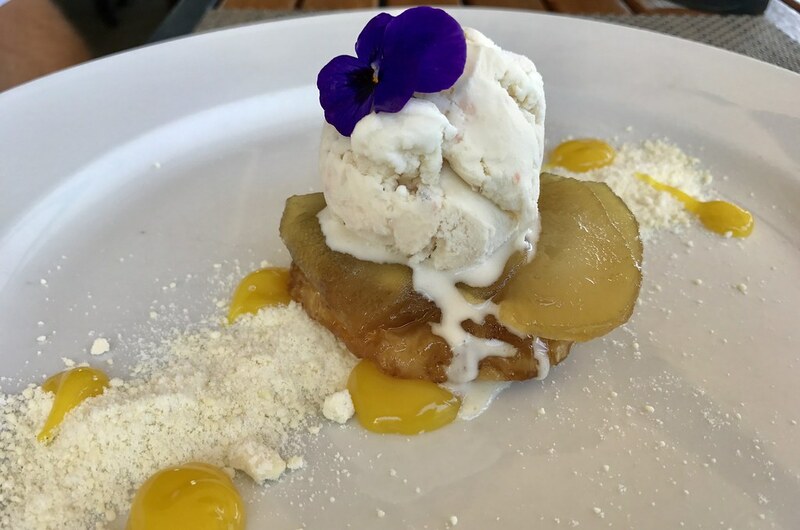 Kristi / John: Pear Tarte Tatin with gorgonzola and caramelized ginger ice cream, white chocolate powder, and lemon curd. 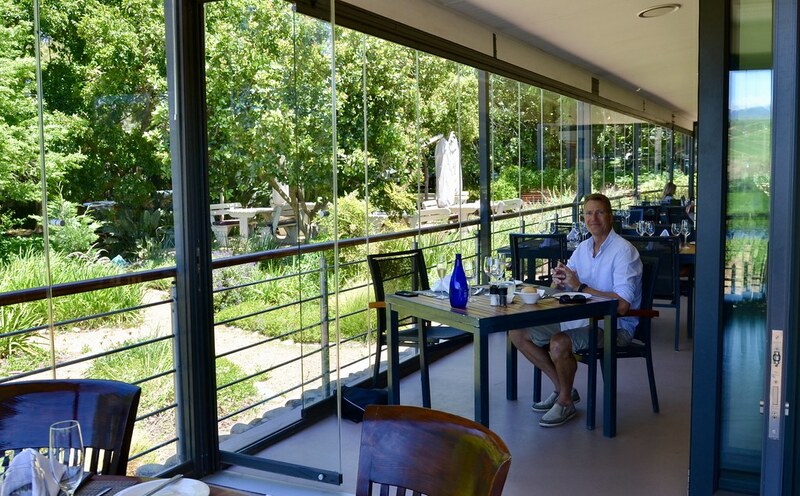 When your travels take you to the Cape Winelands, be sure to reserve a table at Clos Malverne Restaurant for “The Food & Wine Experience”! I’m confident that you’ll enjoy every bite and every sight.